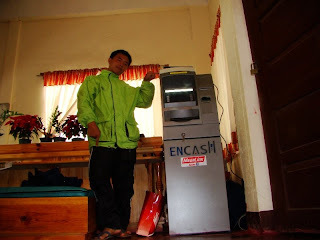 Rural Bank of Sagada, the only Bank is one of the oldest establishments standing in the Municipality. It’s not only a lending agency but helps in money transfers though Western Union services. The bank has recently installed a Wireless ATM machine, accessible through Banknet, Expressnet, Megalink holders. International cards are temporarily unavailable though.